The TINKERBELL from Paris Hilton is a brand new whimsical summer charm bracelet watch – perfect for any occasion. Named for Paris Hilton’s faithful canine companion, TINKERBELL is a dog chain-style charm bracelet with a small watch charm. The TINKERBELL is stainless steel with crystal heart motifs and official Paris Hilton logo. Wear your watch with style, flair and femininity. Wear it and be wonderful! 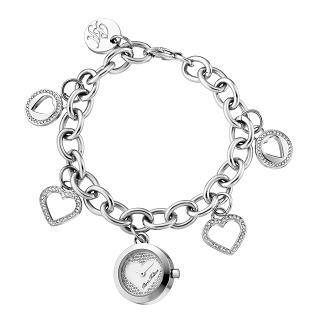 I am looking for the Tinkerbell charm watch but i can only find it on Amazon which has a 1-2 month back order. I am wondering where else to get this watch. I love it and need to have it!